Beer, what can’t it do? It’s great on its own, but what about using it in the kitchen? I’ve cooked with beer before and that is always delicious and my curious nature brought me to the baking side of culinary arts to see what beer can bring to sweets. I decided to bake cupcakes because they’re easy-to-eat and pint sized (see what I did there?). 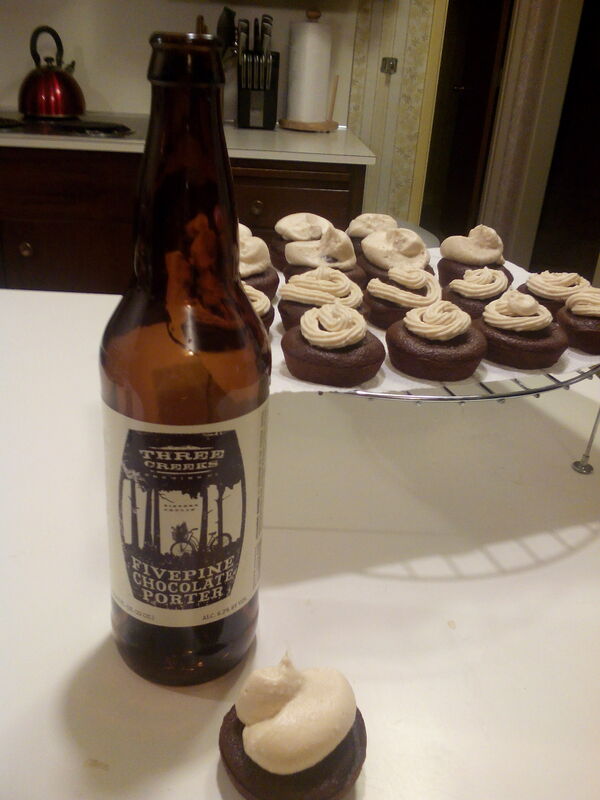 For these cupcakes I took inspiration from my favorite variety of beers- the tall and dark variety. I wanted to make a chocolate cake and add a porter or stout to the batter to add the complexity from the robust beer. Having the big and bold flavor of a dark beer with added flavors like more chocolate, vanilla or coffee would impart beautifully on the cake. The cakes I made were chocolate porter cupcakes with cream cheese frosting. But this wasn’t just any ‘ol cream cheese frosting. To go with the boozey cake idea I made an Irish cream cheese frosting. In the cakes I used the Five Pine Chocolate Porter from Three Creeks Brewing in Bend, Oregon and Bailey’s Irish Cream for the frosting. Oh, these mini-cakes were lovely. The cakes had a deepness in flavor that was brought on by the added beer. 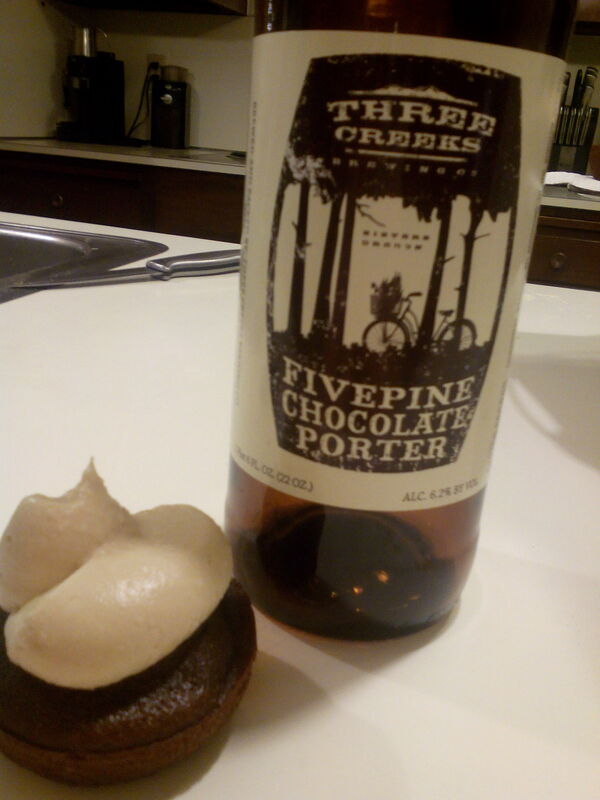 Even though the beer made the cakes a little denser, the flavor and overall enjoyment was excellent. Bake the cakes at 350 degrees for 20 minutes and let them cool before frosting them. I’ve made cream cheese frosting before but this frosting beats all of them. The recipe was very simple: 8 ounces of cream cheese, 1/2 cup of powdered sugar and Irish cream to taste. I tried to follow a recipe I found for the frosting that said to use 4 teaspoons of Irish cream but I felt that wasn’t enough to give a big and companion taste to the porter cakes. Instead I added in the Irish cream teaspoon by teaspoon and when I felt the taste was perfect, I frosted my cakes. Beer is a great part of life and adding it to desserts is a fantastic way to incorporate craft beer more into life!